A minimum 2 night stay is required for holiday weekends. 7 night minimum required. Limited availability. 30 night minimum required. Limited availability. All seasonal fees are due in advance; no refunds. Any unused camping fees will be applied to future camping dates. Winter storage is available. Please call (989)817-4803. Military Discount - 20% off rack rate, must provide credentials at check-in. Players Club Discount - 10% off rack rate, must present players club card at check-in. *All rates are subject to tax and fees. All rates are subject to change without notice. Deposit Policy: A deposit of one night's stay is required at the time of booking to complete your reservation. If you do not arrive for your reservation or cancel by the stated cancellation period your deposit will be forfeited. Reservation Policy: Must be 21 years or older to rent sites. Picture ID is required. We accept Visa, mastercard, Discover, and American Express. **If you arrive after 6PM on Sunday or after 9PM Monday - Thursday to check-in, please come to the Waterpark and hotel Front Desk to complete your registration. 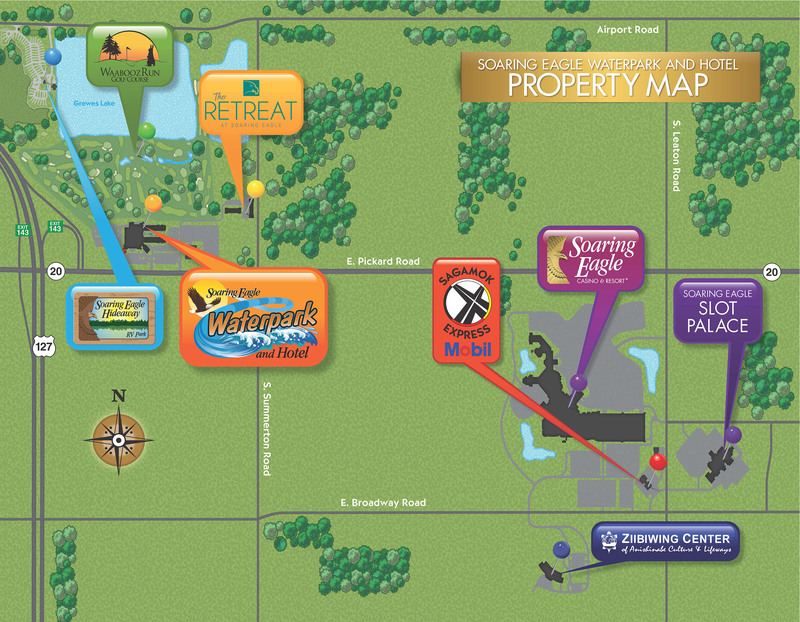 If you arrive after 10PM on Friday or Saturday, please complete your check-in registration at the Waterprk and Hotel Front Desk. Cancellation Policy: Cancellations or change to your reservation without penalty must be made at least 24 hours prior to arrival date. Management reserves the right to have specific policies or restrictions on offers, special events, or rate programs. Deposit will be forfeited if a cancellation is made with less than 24 hours notice. All motor coaches, RV's, fifth wheels, or travel trailers must be parked on padded site. All units must have window coverings, sleeping facilities, and approved electrical hook-ups. No parking on grass, street, or vacant lots. All vehicles must be registered and parked in designated areas. Dune buggies, cycles, and quads are prohibited. Motorcycles, mopeds, min-bikes, and golf carts must not create a disturbance or nuisance. Persons without an operator's license are not permitted to operate any motorized vehicle in the park. No mailboxes, personal signs, soliciting signs permitted. Satellite dishes are permitted, but must be attached to the unit. No fires except in fire pits, using wood or charcoal only. All camp fires must be out by 1:00AM. No firewood shall not be brought in due to emerald ash borer. This policy is strictly enforced and non-compliance will result in forfeiture of your campsite. Alcohol permitted on your site only in moderation. Sewer lines must use ocllars to eliminate odor. Site must be ketp clean and neat. 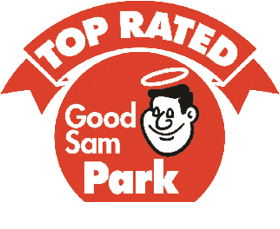 No washing, servicing, or repairs of units in the park. Trash must be bagged securely in plastic and placed at curb side between 9:00AM-10:00AM. Renter is responsible for any damage to the unit sites. Quiet hours are from 11PM - 8AM. All visitors must register at the Registration Office. $8.00 fee for each vehicle. Be considerate, walk on roadways not through campsites. Noise from all sources must be minimized so not to disturb other guests. Pets may never be left unattended at any time. Pets are not allowed in any playground area, camp store, laundry facility, bathhouse, or beach area. Pets ar enot permitted to wander onto other sites. Excessive barking, growling or aggressive behavior is not permittted in park. Droppings must be picked up immediately and disposed of in a sealed plastic bag. A pet waste station is available. Pet waste will not be tolerated. A cleaning fee of $25 will be assessed to the renter if waste is left on site. No lifeguard on duty at any time &dash; swim at your own risk. No horse play or throwing sand. Suitable swimsuit must be worn at all times. SEHRVP is not liable for any injuries or accidents while participating in water activities. This includes, but is not limited to, watercraft rentals, swimming, promotional activities, or use of the water trampoline. 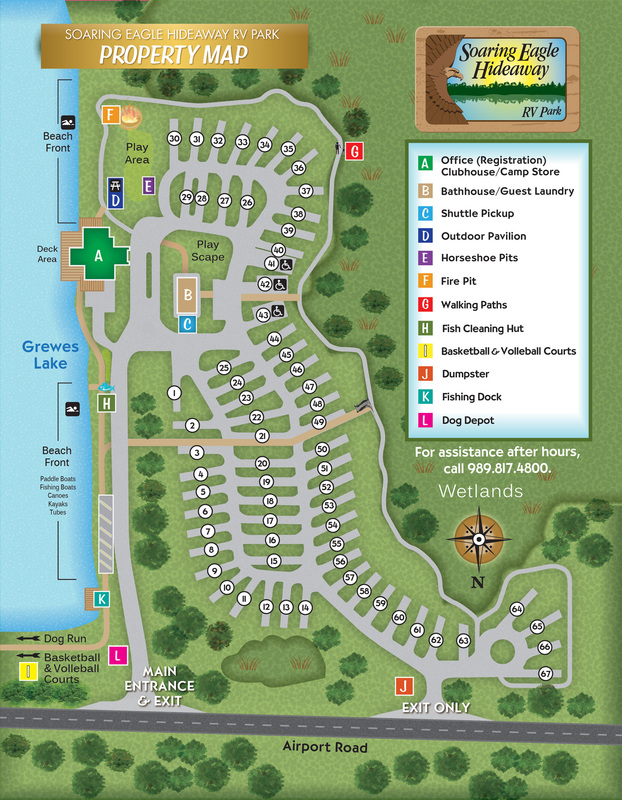 Fishing is permitted on Grewe's Lake with a valid permit. MEDC Fishing Permits may be purchased at the Club House and are valid for one season. Courts open from dawn until dusk. Court use for RV Park guests or Visitor Pass guests only. No bicycles, rollerblades, or skateboards on the courts. Do not hang on basketball rim or volleyball net. No glass or alcoholic beverages on the courts. Use courts at your own risk.